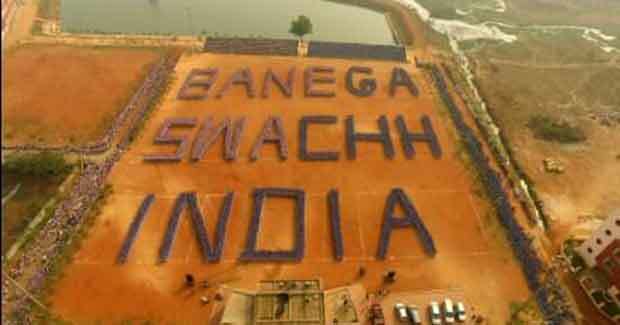 Odisha has ranked 24th in a Swachh Bharat survey by National Sample Survey Organisation (NSSO) among 26 States of India. While Sikkim has been hailed as the cleanest, Odisha has fared poorly in terms of the parameters for cleanliness such as access to toilets and water. The report says in rural areas of the State, barely 26.3 per cent households have sanitary toilets, which is much below the national average of 45.3 per cent. Sikkim (98.2 pc), Kerala (97.6 pc) and Mizoram (96.2 pc) are among the States which reported high percentage of households having sanitary toilets. The Naveen Patnaik Government’s push for water and sanitation for all seems to have come a cropper with NSSO’s latest Swachhata Status Report placing it among the bottom three performing States in the country. To put it cleanly, among the dirtiest lot. Sikkim scored scored 98.2 per cent on a scale of 100. Kerala, Mizoram, Himachal Pradesh, Nagaland, Haryana, Punjab, Uttarakhand, Manipur and Meghalaya scored 96.4, 95.8, 90.1, 88.6, 87.9, 86.1, 80.2 and 73 per cent respectively, the report said. The States which have not fared well in the survey include, Jharkhand (17.7), Chhattisgarh (19.9) , Odisha (24.8), Madhya Pradesh (24.8), Uttar Pradesh (27.3), Bihar (29.8), Rajasthan (35.8), Tamil Nadu (39.2), Karnataka (44.3) and Jammu and Kashmir (45.9).